To solve all your hard surface cleaning problems, look to the industry leaders and innovators, Aqua Fortis. We are a company that specialises in the cleaning and sealing of all hard surfaces for Industrial, Commercial and Domestic markets using patented pressure washing equipment. Aqua Fortis came into conception in 1997 to overcome problems associated with standard High Pressure cleaning systems,and ever increasing environmental issues in many industries. Thus, the clean & capture machine was created . The system uses a high pressure, hot water, rotational cleaning process with simultaneous vacuum providing the customer with a floor that has a clean, dry surface . This has enabled The 'Aqua Fortis' Company to clean any hard surface. 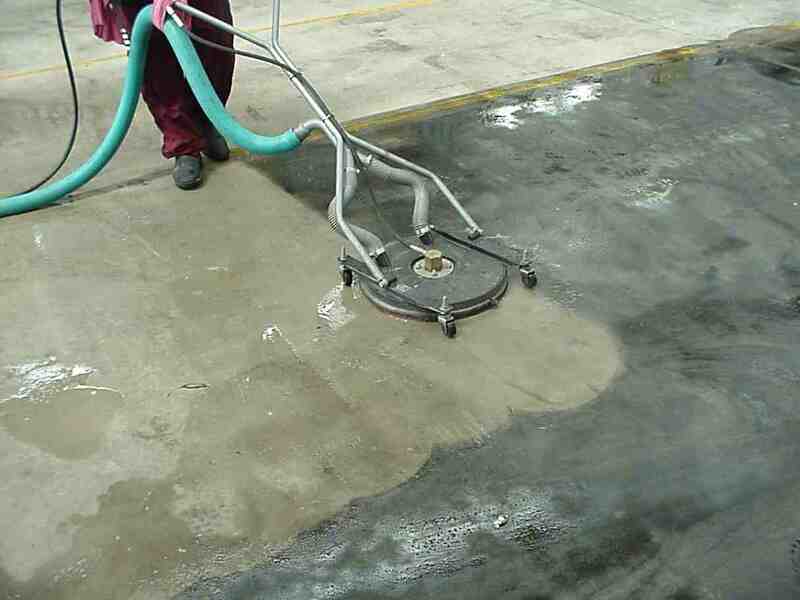 We can remove oil from work shops, mould from pathways, but also remove old painted lines, and existing floor seals. Aqua Fortis prepares floors for all types of sealing applications. This unique machine combines rotary jet cleaning with vacuum recovery. The system has proved to work far better than conventional cleaning methods, a fact testified to by our Customers . It has provided a much wider scope for cleaning applications, including cleaning industrial freezers at minus 30 degrees, synthetic surfaces on sporting fields , as well as simple domestic driveways. We are confident of the fact that our 'Aqua Fortis" clean & capture system will effectively address the cleaning needs of all commercial and industrial businesses. 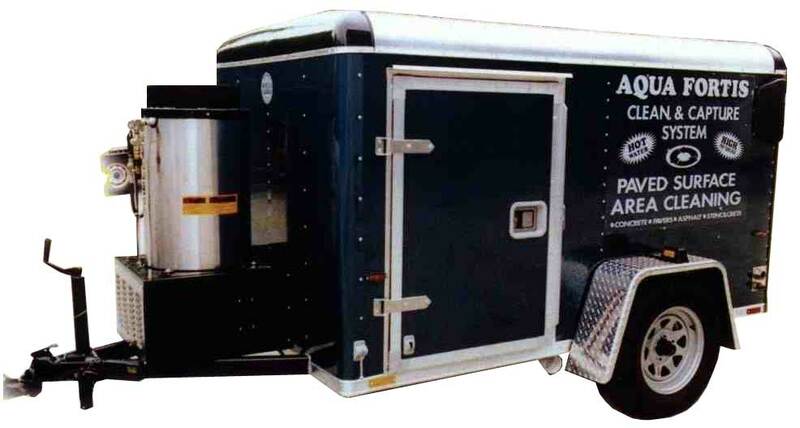 The system will solve many and varied cleaning problems and is easy to operate. This revolutionary cleaning equipment has enabled us to offer a complete floor cleaning and sealing service while greatly reducing Customer " down time ". Aqua Fortis was utilised extensively at the Sydney Olympic track and field stadium to clean the Mondo synthetic running track, and was the only system capable of so doing to the satisfaction of the manufacturer .We are also the only cleaning company to have Sydney Water Board approval to discharge industrial trade wastewater. For very good reason we are justifiably proud of this Australian product and welcome inquiries from all business sectors. The high pressure of water and use of chemicals had an adverse effect on some surfaces.